I first heard about Hemingway just over a year ago. It was a brief mention of an app in class, but I wasn’t really listening. 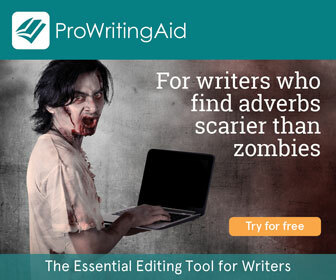 A couple of weeks later it was mentioned again, and this time I heard fully what it was all about: a proofreading app that checks for misspellings, passive voice, complex sentences and adverbs. I used it a few times on assignments (and did quite well on said assignments), but its usefulness didn’t fully appear to me until I was applying for a job. I had to give long, in-depth answers to questions to demonstrate my skills and expertise. Hemingway allowed me to ensure I was doing so without using overcomplicated language. The use of overcomplicated language is frequently disputed in writing. Almost all writers will say that they prefer simple language used in the right way to convey an idea over using a complex, excluding vocabulary. Its beta version also allows you to format the text as you write, as well checking for errors. Some of its features are United States-specific, such as its spelling and the ‘readability’ score. The ‘readability’ compares it to what is taught in US schools. If it can be read by a sixth grader–ninth grader, it’s considered good and will show in green. Anything higher is seen as too convoluted and should be simplified. Compared to other writing/editing apps, it’s one of the best. Whilst I adore Grammarly’s Facebook and Twitter accounts, it costs to use and I’ve found that its algorithm creates grammatical/typographical errors where there are none. Hemingway, on the other hand, only has issues with words ending in ‘ly’—it often refers to words as adjectives, even if they aren’t. A paid version is also available for $6.99 (about £4.70 at current exchange rates). This allows you to use the app wherever you are, no internet required. If you find the internet to be particularly distracting whilst you’re trying to write, this is a great idea that means there’s no excuse for you to get distracted by puppy GIFs when checking your piece for errors. It’s up to you which pieces of its advice you take—there are always going to occasions where you can’t escape using an adjective or passive voice—but for everyday writerly housekeeping, its usefulness cannot be argued against. How Long Should a Piece be Work in Progress?